It's time for a short patch again. The main reason that we are releasing this (smaller) patch is just simply because we didn't want to let you guys wait for too long for another update. This patch contains a lot of fixes, improvements, new content and next to all that the new mission / contract feature. We are aiming to find the right balance between making the game more beginner friendly while at the same time we keep bringing enough new content for current players. Besides everything it still is our main priority to fix crashes, optimize the game even more and fix other major and minor issues that are happening. This is also why we aim to release another smaller patch very soon that contains a lot of fixes and improvements. Fixed some spelling mistypes / other errors in some of the newly added tips in the loading screen. Fixed Various visual and functional bugs related to the chat system. We would like to remind you all again that the chat system is still in development and we are still fixing stuff related to this new system. Added a "Loading In" status in the friend server for when they are loading game data. Fixed the vehicle camera in FPS only servers. Fixed a bug related to the clan contesting system. Reviving in-game in Beginner Servers is now free. 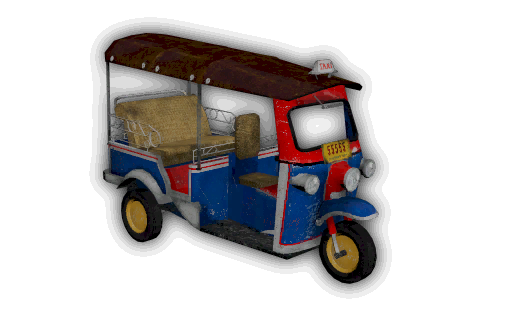 The Tuk Tuk is now spawning in all game-modes. Fixed the physics of the Tuk Tuk. When hitting this car now it is no longer invincible and plays hit sounds when hitting. Fixed the physics of the Humvee. When hitting this car now it is no longer invincible and plays hit sounds when hitting. Fixed the physics of the Sherrif Dragster. When hitting this car now it is no longer invincible and plays hit sounds when hitting. Fixed the physics of the Police Dragster. When hitting this car now it is no longer invincible and plays hit sounds when hitting. Added a new item called a "Trophy". This is literally a winners trophy and will be used as a special reward for events, seasonal leaderboards and tournaments. You can't do anything with this item expect drop it in a server or trade it. Our goal is to create a special trophy for each event we do, for example with Christmas 2018 we have a "Christmas Seasonal Leader board" planned and all the winners will then receive the "Christmas 2018 Trophy". This item will then become very valuable since it's only ever rewarded once. 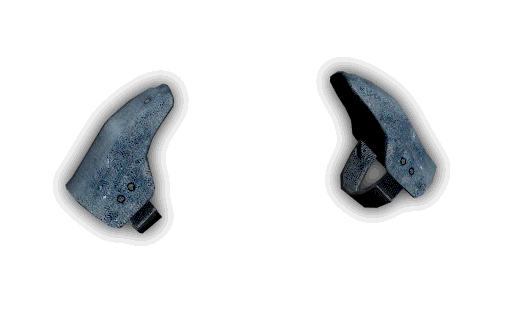 Added a new item / barricade as a new vehicle countermeasure idea. This barricade is kind of just a test and aimed for people to use / place down to block vehicles from riding them over. We are not sure yet when / how / if this item will be released so stay tuned for further updates. 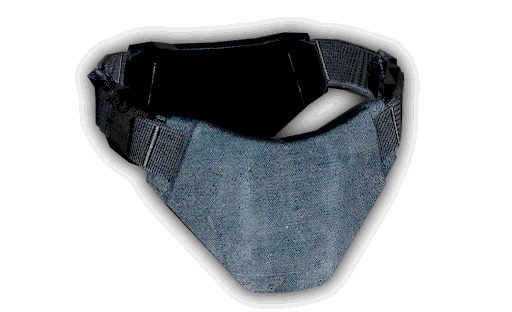 Added a new media riot shield: Riot Shield Afyne. Updated the item name of the "Light Heavy Armor" to "Heavy Armor (Body)". Since this was just the body part of the heavy armor. For more information why this name got changed can be found under the Survival section of these patch notes. Updated the damage and damage range of the grenade. Increased damage from 120 to 140 and increased damage radius from 15 meters to 20 meters. Increased the flash bang explosion radius. Increased the explosive arrow explosion radius. 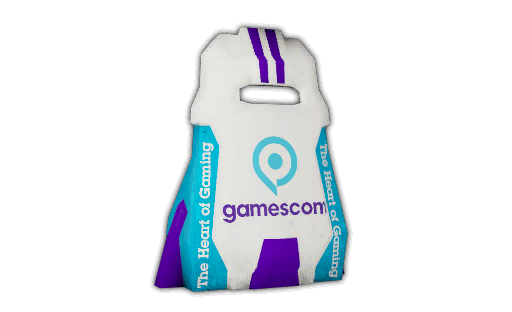 Added some new skins and items for the Gamescom 2018 event where the New Z staff team will be attending. 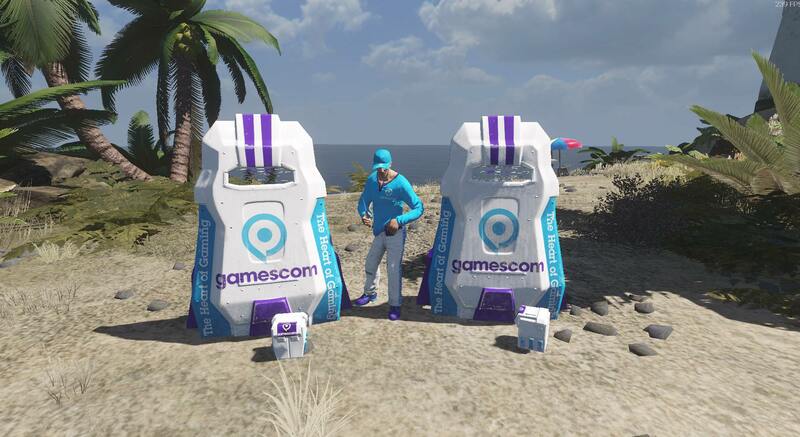 We have added some character clothes, a riot shield and some skins. Fixed the K. Style NVG Fallen Angel model. Improved the overall quality of the model and fixed some smoothing issues. Model should look much better now. Fixed the Light Sword Curved Rainbow skin. The model is now way more optimized and the actual "fade" is more beautiful in one fade instead of a repeating pattern. Updated the skin name of the AW Magnum Gold to AW Magnum Pyrite. All of the old "gold" skins have been renamed due to the newer gold set that came out recently. Updated the skin name of the Desert Eagle Gold to Desert Eagle Pyrite. All of the old "gold" skins have been renamed due to the newer gold set that came out recently. Updated the skin name of the Custom Guerilla Gold to Custom Guerilla Pyrite. All of the old "gold" skins have been renamed due to the newer gold set that came out recently. Updated the skin name of the M107 Gold to M107 Pyrite. All of the old "gold" skins have been renamed due to the newer gold set that came out recently. Updated the Heavy Armor Black Night skin. Overall looks better now and more like the Custom Guerilla Black Night. Updated the store icon of the Light Sword Twin White. Also updated the recipe icon. Updated the store icon of the OTS-SVU Fun Edition. Also updated the recipe icon. 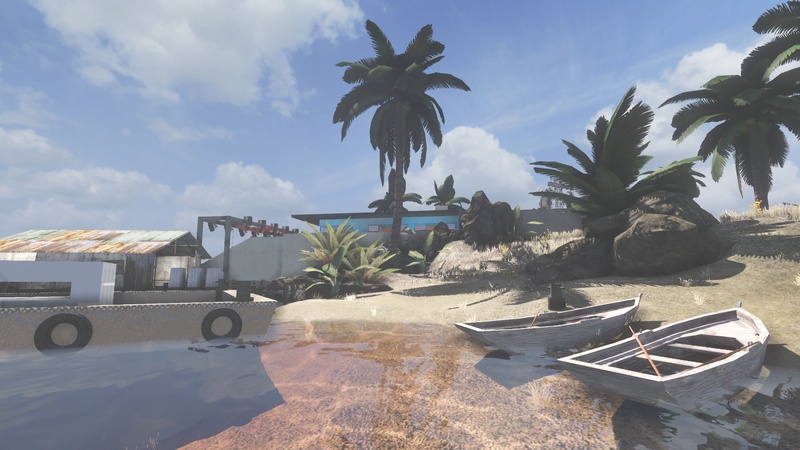 The Stanag E-Mag is now released and spawning. 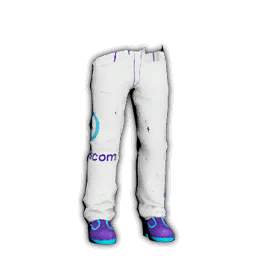 Players can find this new item in-game. This magazine is very rare and can only be farmed from alien and normal super zombies. 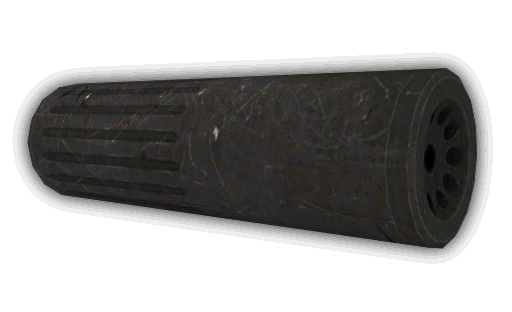 The sniper flash hider is now released and available in Open World. This new attachment can be found at military areas. The SMG flash hider is now released and available in Open World. This new attachment can be found at military areas. 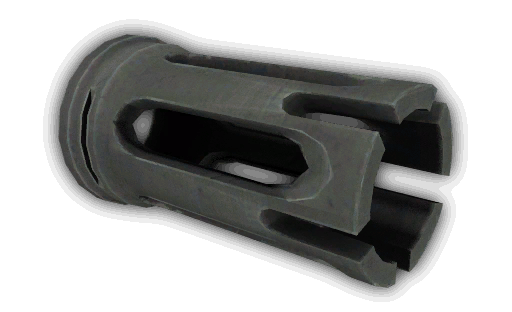 The pistol flash hider is now released and available in Open World. This new attachment can be found at military areas. The sniper silencer is now released and available in Open World. This new attachment can be found at military areas, super zombies and alien super zombies. This item is rare. 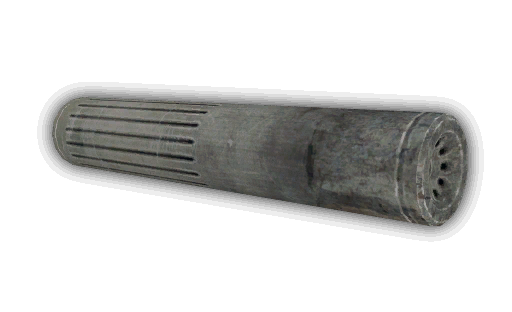 The shotgun silencer is now released and available in Open World. This new attachment can be found at military areas, super zombies and alien super zombies. This item is rare. The Tuk Tuk is now spawning. Added a new secret spot with a Alien Super Zombie. Good luck finding him! Increased the loot at Barth Farm. Increased the loot at the road block close to Crystal Lake. Increased the loot at the road block close to Clearview. Increased the loot at the farm close to Clearview. Increased the loot at the road block close to Campos City. Increased the loot at some newly placed buildings inside Campos City. Some buildings here were missing loot. Fixed a major zombie navigation issue where zombie were walking through walls and other objects. Lounge has been entirely reworked. Map looks overall better now in terms of quality and there is a lot of interesting new stuff. Players spend a lot of time in this map so it's important to keep this interesting. Added a lighthouse and some other scenery to make the map more interesting. Replaced the palm trees with better / more happy looking ones. 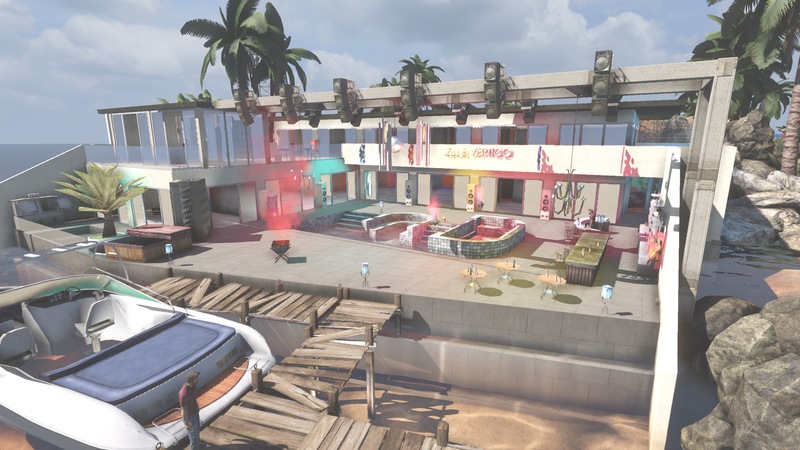 Removed the "party" barn and replaced it with a super sick looking party villa. Are you ready to get this party started? Added much more grass, rocks and trees to make the map look better and more realistic. Painted the terrain with better looking textures to make the whole map look better and more realistic. 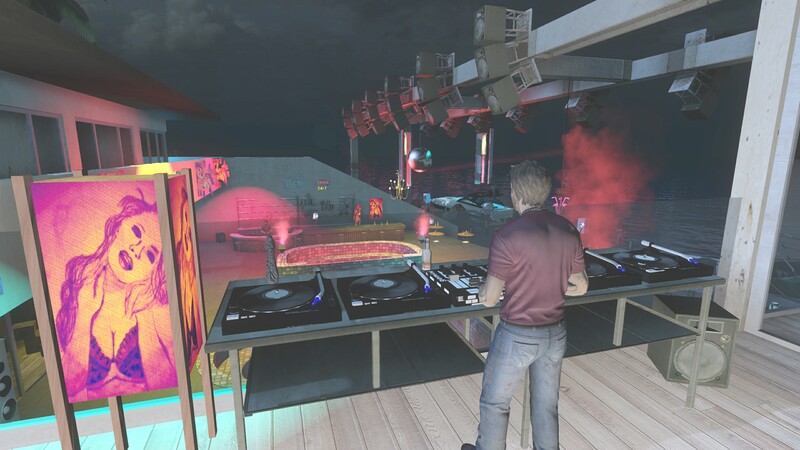 Updated the music in the "party villa" area. Music playing is just overall more improved. The Heavy Armor (Body), Heavy Armor (Shoulders) and Heavy Armor (Legs) are now available in Survival. 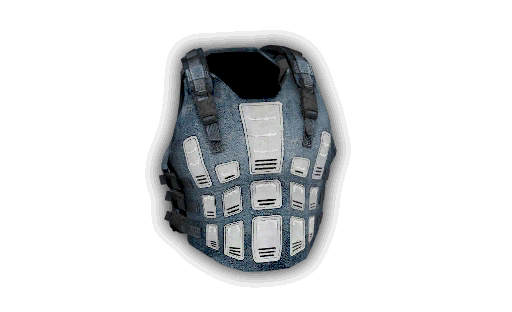 Also based on feedback from the Survival community we have decided to release the Heavy Armor very carefully: The actual Heavy Armor won't directly be available but it will be craft-able. This works simple: There is now 3 parts and each of them can ONLY be found from a certain thing / place; Alien Super zombie, Random airdrops & random military loot. You need these 3 parts + 5 cloth, 1 duct tape and 10 metal to craft 1 Heavy Armor. These 3 parts are very rare, and since you can only craft the Heavy Armor with these parts the Heavy Armor itself will be even more rare. The Heavy Armor (Body) is now released and spawning. 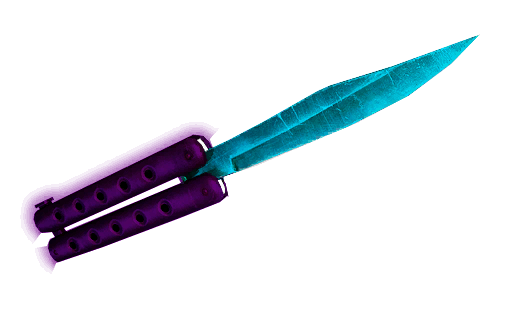 Players can find this new item in-game. The Heavy Armor (Legs) is now released and spawning. 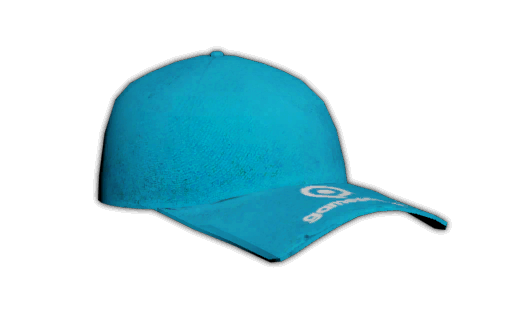 Players can find this new item in-game. The Heavy Armor (Shoulders) is now released and spawning. 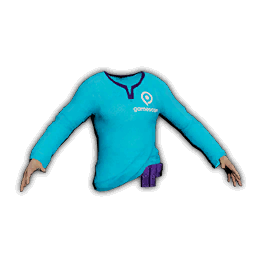 Players can find this new item in-game. 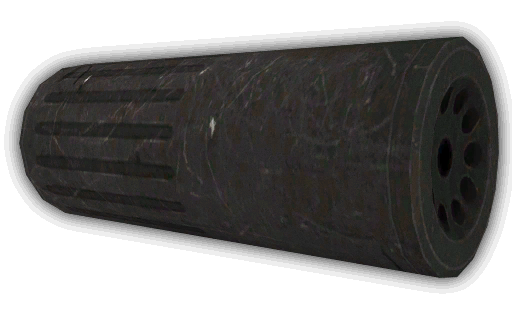 The sniper flash hider is now released and available in Survival. This new attachment can be found at military areas. The SMG flash hider is now released and available in Survival. This new attachment can be found at military areas. 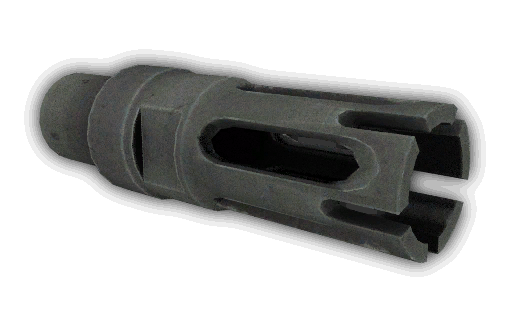 The pistol flash hider is now released and available in Survival. This new attachment can be found at military areas. The sniper silencer is now released and available in Survival. This new attachment can be found at military areas, super zombies and alien super zombies. This item is rare. 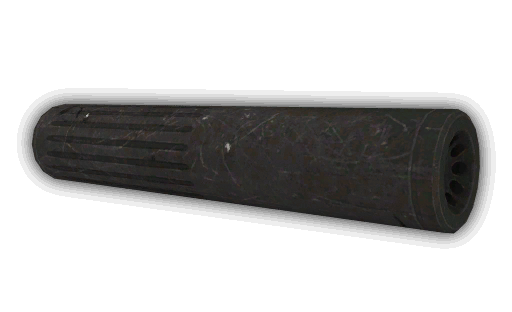 The shotgun silencer is now released and available in Survival. 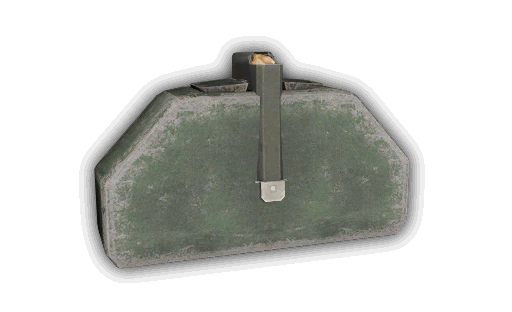 This new attachment can be found at military areas, super zombies and alien super zombies. This item is rare. Fixed an issue related to vehicles not spawning at all. Vehicles should spawn normally again now. The sniper flash hider is now released and available in Battle Royale. This new attachment can be found at military areas. The SMG flash hider is now released and available in Battle Royale. This new attachment can be found at military areas. 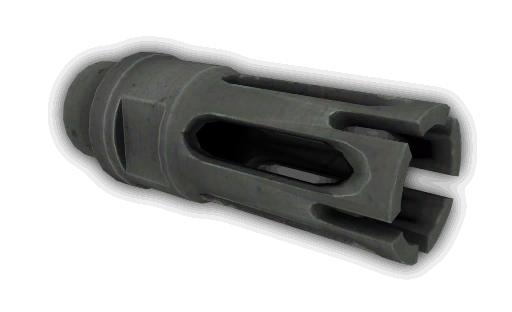 The pistol flash hider is now released and available in Battle Royale. This new attachment can be found at military areas. The sniper silencer is now released and available in Battle Royale. This new attachment can be found at military areas. 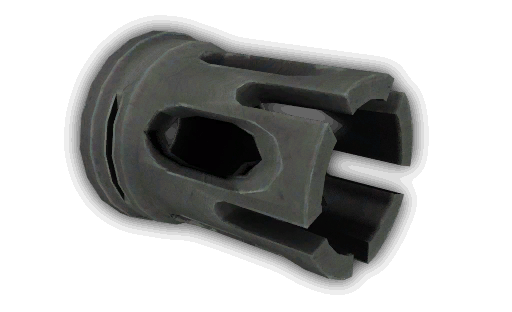 The shotgun silencer is now released and available in Battle Royale. This new attachment can be found at military areas. Estimated patch size: 150 mb. Patch ETA: patch is rolling out any time from now. Estimated downtime: around 1 hour max. Servers are back online! Enjoy! For some reason the (test) missions aren't enabled on Colorado V2 (OW). We are investigating this issue. Expect a short server restart soon. Could you please check if zombies are still noclipping at the airport (Survival, Colorado V2)? Players are also crashing with certain languages. We are fixing this issue as well. Stay tuned for a small hotfix / server restart soon. Sorry for the inconvenience. I waited impatiently for this patch and disappointment. nothing about disable jumps for the sniper's rifles. 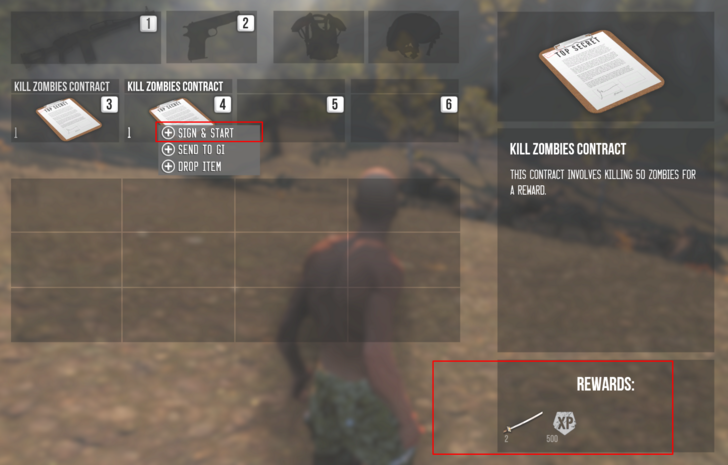 The jumping ability should be block for first slot for all weapons. If you want to jump you can jump on other slots. In this case, this game is completely devoid of realism. The sniper's rifles have become the basic weapon and jumps - style of movement in this game. Just go to Twitch tv and see parody of a good game. It is not Jumping Jack game !!! Think about it, for your own sakes our beloved developers - if you want to have new players. This is probably the best patch so far. can wait to find some new equipment in-game! Can't wait to get millions of missions and contracts out there soon!!! I like this idea. It gives the new players as well as the veterans something to shoot for. One suggestion though, Instead of having only one tier, how about making each task in the missions multi-tier. Each successive tier would garner higher rewards for completing them. I noticed that vehicles are easier to keep still upon exiting. This was very much needed. The control of the vehicles still needs work though. They still can flip flop out of control. Another problem I encountered was, as I exited my ZK, I sank into the ground up to my waist. The only way I could move was to hop around. It wasn't permanent though, once I moved to another location, it cleared up. The sniper silencer is a great addition. It works as it should by decreasing the dmg rating making a headshot a must. Good Job!!! Keep up the good work!!! Have a Nice Day!!! Good point about the mission. Keep in mind the current Colorado V2 (only) is literally just a beta test. We just want to make sure everything is working the way it should be. 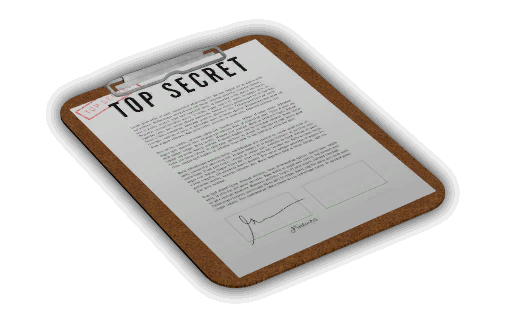 Like I already mentioned earlier: We plan on adding A LOT of missions. 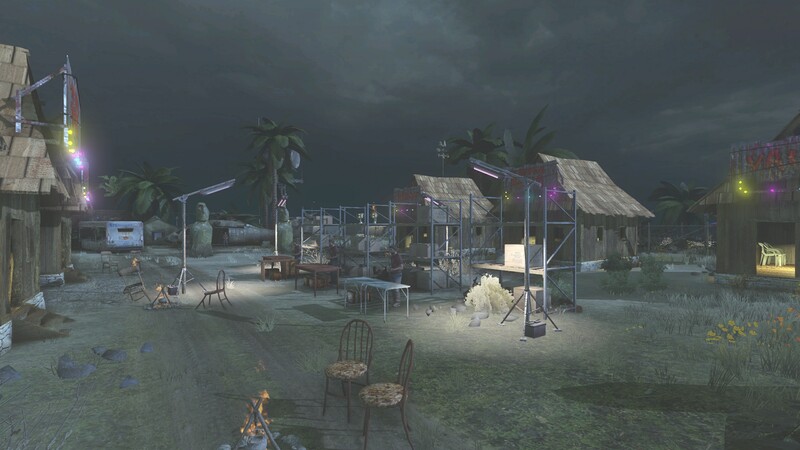 Since they are map based we are planning on doing some fun and unique stuff per map. Of course we will prioritize the maps that are played the most. Thanks for the overall further feedback! Glad you like the update and once again thanks about the vehicles. We will keep working on this! Where is the new secret spot?